We live in a big world, but indeed we live in a small one. Today, news is available to us all at the touch of our fingertips and via our TV screens, and one’s serene life somewhere can be brutally disrupted by news of happenings thousands of miles away. This was the case last month with the series of news reports concerning racial violence in the US, focused on killings by white police officers of black men, and retaliatory killings by aggrieved black men of innocent police officers. Being a Ghanaian “sitting my somewhere”, its all too easy to ignore this phenomenon and go on with my life, but that innocent, mind-my-own-business side of mine died a few years ago, courtesy of certain shifts in my perspective on the human problem of racial and ethnic tension driven by changes in my reading of the New Testament. Let me be straightforward here. I believe that the church is the only tool designed by God to actually show the world how racial tensions can be overcome. Not the government, not politics. But to do that the church has to confront some of it’s own flawed theology which has rather seen it buying into the racial hatred instead of standing against it. And it is here that I wish that the church worldwide, especially Protestant churches in America (but also critically, in Ghana) will take seriously the tremendous work over the last few decades of the school of thought about the NT called the New Perspective on Paul (heretofore referred to as NPP). I’ve written quite a bit about the NPP, and my latest take on reading the bible with that perspective can be found here. Coming away a few weeks ago from Scott McKnight and Joe Modica’s “The Apostle Paul and the Christian Life: Ethical And Missional Implications of the New Perspective”, a compilation of essays by a number of scholars on the implication of taking the New Perspective seriously, I looked again at what was happening in America, and it was obvious to me why Protestant Christianity hasn’t done much to help resolve this problem, but may have rather participated in worsening it, knowingly or unknowingly. Although there are many well known scholars associated with the NPP and they all don’t agree with each other on every detail, I’ll be presenting mostly the thoughts of Nicholas Thomas Wright, seeing as he’s the one I’ve read the most from, though these points are not unique to him. Paul wrote his letters in reaction to issues that arose as a result of his unique ministry amongst the apostles – being one who had dedicated himself solely to ministry to the Gentile world. He was dealing with problems, not writing a rule book. The primary problem was that of how Jews and Gentiles are all now acceptable before Yahweh without the requirement for the Gentiles to keep the Law. Paul poses Jesus’s death as a means by which Yahweh reconciles himself not just to his unfaithful wife Israel (and by extension, Jews), but to the rest of the world, to the nations, who have not known him but who are his anyway. Paul uses the language of “peace” to describe this in many of his letters. This reconciliation was not only between Yahweh and his creation, but also meant a breaking down of the barriers of hostility between Jews and Gentile. Paul’s letters are full of guidance on how his churches should navigate this new reality, primarily by laying down one’s rights for the benefit of the other. The cross is the means of God breaking the powers that hold us in chains to the devil, and setting all his creation free from the captivity of sin. God himself being willing to die on the cross to reconcile himself with his people is described by Paul in 1 Cor as “the power of God” (1 Cor 1:18) or “the demonstration of the Spirit’s power” (1 Cor 2:2-4) . By this means of reconciliation, nobody has the upper hand anymore to be considered part off the people of God. 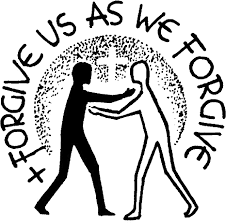 Yahweh requires all to receive the gift of his forgiveness so to be considered a part of his people. This is what Paul’s language of adoption is all about. There are no more any natural born children – both Jew and Gentile are adopted children “in Christ”. Being “in Christ” means one participates in his righteousness. Jew and Gentile become considered righteous/justified by being participants in Christ. There’s a long debate within the NPP on how to interpret 2 Cor 5:21, but I think Michael Gorman’s interpretation using the Eastern Orthodox concept of theosis is much better than NT Wright’s on this matter. Yahweh now desires that all his people learn to live as one people, via his own power – via his own Spirit. The only means by which life together for people of different cultures, backgrounds and social standing is possible is via the same the cross as the example of God in Jesus – via self-sacrifice and the laying down of personal “rights” in favour of the other. Love within and without the body of Christ is the goal, and the power to love is given in living by the Spirit, not living by the flesh. The Spirit then, is not given as a genie in a bottle to be rubbed up to fulfill personal desires and egos of those amongst and within whom it dwells, which is exactly Paul critique of the Corinthians. The Spirit gives different gifts to different people in order that those gifts may be used in service to the united people of God that gather together – to be used in service and in love. The church is a sign to the world that Yahweh’s desire to be known as God over all the world, and hence to abolish ALL DIVISIONS so there is only one people of God has been launched. Therefore when the church fails at the task of integrating the rich and poor, the slave and free, the black man and the white man, the Jew and Gentile, male and female, the church has lost sight of it’s calling, and is still living in this age, when the age to come has already been inaugurated by the death of Jesus. It becomes obvious the impact that taking the NPP seriously about Paul’s mission, and reading the bible as a narrative of how God desires to choose a people for himself and dwell with them has on our practice of Christianity and church. Building our understand of Jesus and Paul beginning from Yahweh’s choice of Israel to his choice of the whole world via inclusion “in Christ”, yields a church that is not just interested in “saving souls” for heaven, but in revolting against the divisive structures of this world whiles in this world. And it will have to do this by taking up it’s cross and actively working towards ethnic, racial, gender and socio-economic integration within its own walls by the power of the Spirit, before it can have something to tell the world about these issues. Rather, within most Protestant circles, Paul (and hence the whole bible) is read as focusing on justification of individual sinners before God, making one’s personal salvation the beginning and end of the matter, and leaving churches confused about their purpose after they have actually “won the souls”. No matter how hard classical Protestant leaders have tried, it’s been impossible to defend the accusation that a) the Protestant Reformers read back their own experiences of battling Roman Catholicism into Paul’s letters and therefore distorted its meaning and that b) their reading of the bible, and the propagation of such a reading within Protestant Christianity has led to individualism on the one hand, and complicity in or inertia in the face of divisive evil like slavery, racism, segregation, sexism, colonialism and violence on the other. Even when reconciliation is mentioned in most Protestant teaching, it is limited to God reconciling himself to the sinful individual, and has very little with people groups being reconciled to one another (whereas Paul’s language is of God reconciling himself to humanity, not just individuals, as well as bringing reconciliation amongst people groups). The most Protestant of all European nations in the early 20th century, Germany, was also the worst culprit when push came to shove. In Africa, our Protestant churches, still bearing the individualist fruits of their Western torchbearers , continue to be totally incapable of any real social transformation. The systemic evils of tribalism, classism, corruption, poverty, unemployment and destitution continues to abound, whiles they spend all their energies raising “harvest” upon “harvest” to build the next big church building. Charity is practiced as one-off events meant to placate consciences, typically in far off, romantic locations. The needs of church members, or neigbhourhoods within which local churches are situated are marginalized in favour of grandiose investments in infrastructure projects on a national scale so these churches can put their name on it and claim they are working for the common good – what I call “empire building”. And yet given the realities of the time in which we live, it is frustrating to watch Protestant Christian leaders, especially within the Reformed tradition in the West, focus on defending their heroes instead of being true to scripture and to the mission of Christ in the world – to the hope of a new heaven and a new earth, to the hope of all races and tribes singing together before the throne, which age has already been launched by the resurrection of Jesus Christ. So I have little hope for both the American and African church when it comes to racial reconciliation if it continues down it’s good old individualistic trajectories. This trajectory is the main reason why 40 years after segragation laws were revoked in the US, American churches are still segregated into churches dominated by whites and churches dominated by blacks etc. In this light, I wish the American Reformed churches will realize that the New Perspective is not it’s enemy. The Spirit which is at work in the Reformed churches, though they somehow failed to listen to Him when the cry for freedom from slavery, segregation and inequality rang out in times past, and which today all Reformed churches acknowledge was a mistake, is the same Spirit which is at work to bring Black, White, Asian, Arab, Jewish Christians of all classes, gender and economic standing together in post 9/11 America. The Sprit’s work didn’t come to an end after Reformation, and it certainly will not be kept in that bottle forever. It is better to listen to the Spirit and to truth, than to be engaged in defense of tradition. And I have little hope for African Protestantism when it comes to reconciliation at all levels, if it continues down its good old Christendom trajectory. For African Protestant Christianity is so comfortable in its Christendom mode, there is very little introspection and questioning going on. It took our brothers in the Western world two World Wars to cause Christians to ask serious questions about the individualistic teaching that allowed such evils to happen. Today, Europe has virtually abandoned Christianity, and faith in Jesus is declining in the US as well. Do we need some cataclysmic events here before we wake up and smell the coffee that is brewing – the coffee of ethnic, social and economic reconciliation that the Spirit of God has been brewing for the world since Jesus’s resurrection? Wake up, and smell the coffee!! As a young, impressionable Pentecostal, one of the things that was drummed into my head about Jesus and his fractious relationship to certain people groups recorded in the Gospels – Pharisees and 1st century Jews in general – was that these people groups tried to gain their salvation through “works”, whiles Jesus came to bring us salvation through “grace”. As I grew up, I realized that this wasn’t just the teaching of the church I grew up in, but rather the standard teaching in myriads of Ghanaian churches, and indeed in the wider body of Protestant churches worldwide. The cardinal proof-text for this has been Eph 2:8-9. And yet over the last century or more, there has been quite a change among scholars about the relationship between grace and works, especially with regards to how 1st century Jews at the time of Jesus understood them. It began with 3 friends, C.H Dodd, David Daube and W.D. Davies. It was taken up further by Krister Stendahl, a Swedish scholar, but was set out in full swing by E.P. Sanders, a student of W. D. Davies. And it focused simply on applying a rule that any intelligent, honest person who wants to know the truth about any other people group or religion can universally agree with. In simple terms, if you want to learn the most about Islam, you should ask a Muslim, not a Buddhist or Christian. Applying this maxim to Judaism i.e. studying Jewish sources to understand what “grace” and “works” meant to them and not what Christians (who can be considered “enemies” in this case) thought they meant, they found out an astonishing truth – that many Christians, especially since the Protestant Reformation, may have misunderstood Paul when he spoke about the relationship between “grace” and works. Today of course, many others like James D.G. Dunn, N.T. Wright , Scott McKnight (belonging to a school of scholars collectively referred to as “New Perspective(s) on Paul”) have taken up that challenge and have done further research to improve our understanding of 1st century Judaism and therefore these matters of salvation, grace, works etc. But it seems it will take a few light years before this knowledge trickles down to our churches, as many still talk in the same old ways about grace and works. So here’s my attempt to help the process along by bringing them together in the whole that they need to be held in. I begin by examining the relationship between grace and salvation from the New Testament’s own historical context – the context of 1st century Israel. And what better place to learn about salvation than the events of the exodus? The first recorded use of the word “salvation” or “redemption” is used by Moses in his song written to commemorate God’s work of saving Israel from Egypt in Exodus 15. “The Lord is my strength and my defense, he has become my salvation” (Ex 15:2). After saving them, Yahweh then enacts a covenant with them, and in that process, explains why he saved them. In other words, God’s salvation of Israel was also by grace – they didn’t earn it. They didn’t work for it. God chose them because of his special promise made to their fathers. 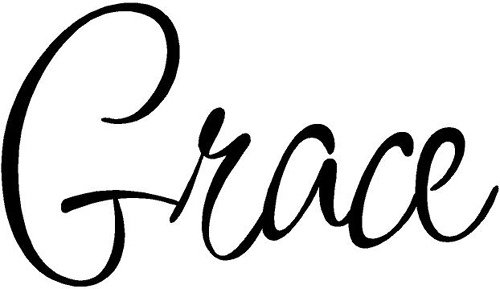 The only “problem” is that they didn’t use the word “grace” to describe their salvation in the Old Testament, but if “grace” means unmerited favour like we Christians trumpet everyday, then this fits perfectly with what happened between Yahweh and ancient Israel. For them, works was a means of showing faithfulness to the covenant the God had entered to with Israel, not a means to get saved. As Michael Gorman points out in his book on atonement (which is now my favourite on the subject), the whole point of Jesus’s death as well as God’s previous engagement with the people of Israel was about covenant relationship, which covenant always required both partners to keep the terms of the covenant, whether with Israel or with the church. This debunks one of the greatest caricatures that many Christians make of Judaism i.e. Pharisees and Jews in general were trying to get “saved” by works. Nothing could be further from the truth, as modern scholarship is discovering. Having broken this covenant and received God’s punishment for doing so in the form of exile to Babylon, the people of Israel at the time of Jesus were now waiting for Yahweh to re-enact a new covenant with them, by first forgiving them of their previous unfaithfulness or “sins”, as captured by Jer 31:31-34. And this Jesus enacted through the shedding of his blood, though this time he opens the floodgates for others who are not Jews to also be part-takers of God’s new covenant. This was expected to be another work of “salvation”, as expressed by the prophets. The return of Yahweh to enact this new covenant and to “save” them is what Isaiah describes in chapter 52 as “good news”. In Jesus’s life, death and resurrection, Paul realized that God’s promise to enact a new covenant and to also include the Gentiles in that covenant had been fulfilled. He therefore dedicated his life to letting the world know this, especially the Gentile world. But some Jews were still under the impression that even if Gentiles were now part of the new covenant, they needed to show their faithfulness to Yahweh in the old way – by keeping Torah just as they did. These Jews expected the Gentiles to at least observe the key commands which usually set Jews apart from others – circumcision, observance of the Sabbath, observance of the holy days and eating “kosher” i.e. observance of food laws (Col 2:16). These, scholars point out, are what Paul describes as “works of the law”. This became a point of disagreement between Paul and these people he called “Judaizers”. Paul argued in his letters, especially in Romans and in Galatians, that the Gentiles do not need to show their faithfulness to Jesus by observing Torah (the Law), but simply by faith in Jesus and faithfulness to Jesus alone. Part of the problem was that Torah itself was meant to separate Jews from Gentiles, therefore keeping it would break the new union between the two that Jesus now provided. Paul was at pains to show then that in Jesus, the Law was no longer in effect, and this he did with his letters. This is why the same Eph 2, expounds what “saved” means – “saved” means being made eligible to be part of God’s covenant people. In effect, just as God rescued Israel by “grace” based on his love for their father Abraham – the faithful one, in the same way God is now rescuing the whole world based on his love for Jesus – the faithful one. So What About Works Then? So if keeping Torah was bound to bring back the divisions again, does that mean the people of the new covenant do not have any law to guide them? Far from that, I say. In the same Eph 2, Paul makes a very profound statement, stating the REASON why we are saved. A 1st century Jew reading this would not have been surprised at all, because as in the old covenant, covenant membership MUST always lead to covenant obedience. The salvation of the people of Israel from Egypt was for a purpose – that by obedience to Yahweh, they may show the world his design for human existence. Hence the expansion of that salvation to cover the Gentiles is still meant to achieve the same thing – that they may do “good works, which God prepared in advance for us to do”. It is here that Jesus’ life and commands in the Gospels take their place of pride. The “good works” are not a vague term that we can define for ourselves (as I often hear some preachers do). Peter explains exactly what “good works” means by referring to none other than the life of Jesus himself. This is also why I really appreciate the Epistle of James – because he makes the linkage very clear – faith without works is dead. Being a Jew, he know that faith without works is what led to the Babylonian exile, and Paul like James, knows that our works will be judged in the end for faithfulness. In fact I thank God everyday that Martin Luther’s attempt to have the Epistle of James and the book of Hebrews removed from the Protestant canon failed (because it somehow advocated “works” according to his definition of it). It would have been a great disservice to the church. The God of the Bible has shown himself to be a God of covenants. Christian understandings of salvation, grace and works must be primarily taught of as a means for us to enter into and stay faithful in God’s covenant relationship with his nation – which in the Old Testament was Israel, but which in the New Testament is Israel expanded to include Gentiles. However, this way of understanding salvation, grace and works is not the typical way it is taught in churches today, because it is at variance with the way Protestant Christianity has first and foremost misunderstood ancient Judaism as a “works-righteousness” religion, and thence constructed itself as a “grace-only” religion. Some in this Christian tradition have taken this “grace-only” language to such extremes even beyond the leaders of the Protestant Reformation, and any hint that Martin Luther or John Calvin et al may have been mistaken in their understanding of Judaism (which should be normal, since they didn’t have access to the knowledge we have today) is met with accusations of heresy. But for me, an understanding of the New Testament based on a proper, contextual understanding of the Old Testament is vital and yields the following benefits. The current modes of speaking of “grace” and “salvation” lend themselves to individualism. Salvation is a call to each individual to participate in God’s covenant purposes he has already established before the foundation of the earth. Thinking in this mode expands our vision of God’s purposes beyond “me, myself and I” to “what has God done and is doing with me, and with these brethren of mine”. Current teaching in Protestant circles tends to not know exactly what to do with the church. We quote the terms “body of Christ” with very little effect, because our gospel and our understanding of salvation is very individualistic, we don’t see the covenant, corporate nature of this people we gather together every Sunday are meant to achieve a goal that no other group on this earth can achieve. An understanding of “grace” as God’s means of reconciling all forms of ethnic, racial and socially diverse people into one united body through the death of Jesus would have empowered the church to stand against 400 years of slavery in Europe and America (heavily engaged in by “Christian” nations), colonialism and its abuses (same here) , apartheid in South Africa (openly supported by the Dutch reformed church, whose members were the political leaders), anti-semitism and Christian participation in the killing of 6 million Jews in Germany (again, whose political leaders where either Catholic or Lutheran), and participation in countless wars with fellow Christians and non-Christians alike. Instead, the church would have behaved like Andre Trocme and his church in Le Chambon in France, who harbored Jews at the peril of their lives during World War 2 (when confronted by the authorities about habouring Jews his response was “I do not know what a Jew is. I know only human beings”). I was indeed surprised when I got to know that during the days of the Reformation, Martin Luther unfortunately supported the killing of Jews. Reflecting on it, I realized that if his understanding of “grace” didn’t involve God’s reconciliation of Jew and Gentile, but was focused on how people got a ticket to heaven, then it was bound to happen. Because of the denigration of “works”, Christians have tended not to pay attention to Jesus’s own life and examples – preferring to see them as “too hard” and meant for heaven, or reading them as nice Sunday school stories from which moral platitudes may be obtained. Any attempt by Christians to take Jesus seriously is met with the charge of “trying to gain salvation by works”. 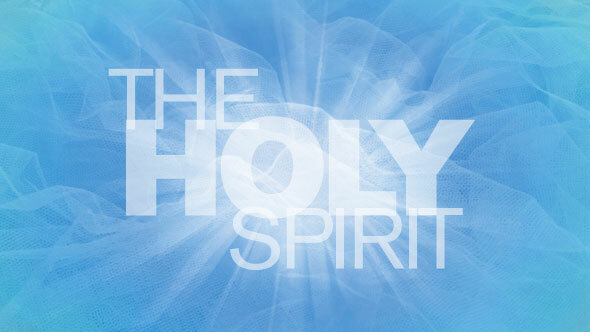 Talk of the Holy Spirit is again, individualized. Instead of the Spirit being the means by which the church is guided to reach its goal, it is spoken of largely in terms of how a particular person can have the Spirit as a genie in the bottle – rub it the right way and say all your wishes, and it will be done. These days, even the New Perspective on Paul is becoming old news, as others are building on that work to further expand our understanding of Jesus. Certainly, salvation must lead to works. God accepts us by looking at the sacrifice made by Jesus – but he always had a goal – to co-rule this world with his covenant people. This is what Adam and Eve failed at – without dependence on God (in a covenant of obedience), they were bound to follow their own way of claiming to “know good and evil”. In the same way, without faithfulness to God in covenant relationship as modeled by Jesus, the church will go wrong, and do all that it was rather supposed to stand against. Grace and works cannot be separated. The former must lead to participation in the latter. Thank God for the New Perspective(s) on Paul, and may others take what they’ve done and open further insights in faithfulness to Yahweh, just as the Protestant Reformation did 500 years ago. The Holy Spirit – Are We Missing the Point? One of the side-effects of reading leading OT and NT scholars is that the former rearranges your childish mental furniture which trivialized the Old Testament and the latter build on that for a much more expanded view of the goal of Jesus Christ’s ministry. The second side-effect is that they set you on a path of exploration for yourself that haunts you even in the shower, and today’s post is a result of one of those brain-on-thinking-spree-whiles-in-the-shower moments. And here was the question I was dealing with: why does Peter link forgiveness of sins with the gift of the Holy Spirit in Ac 2:38? Let’s see where my rearranged furniture lead me in that shower on Sunday morning. Thanks to the above mentioned phenomenon, in recent times I’m beginning to see much better the key role that the Exodus and the Exile played in the history and faith of the people of Israel before Jesus’s arrival. No wonder Jesus used the Law and the Prophets to explain to his two bewildered and despondent disciples on the road to Emmaus why the Messiah had to die (Lk 24:13-33) . You see the people of ancient Israel believed that Yahweh was their protector, and that so far as they remained faithful to him, his presence will continue to be with them and protect them (signified first by the tabernacle, then by his descent into the Temple during it’s dedication by Solomon). This state of God’s continuous goodwill towards the nation is what is described in Deuteronomy 28:1-12 as Yahweh’s “blessings”. Conversely if they acted unfaithfully, then he will abandon them to their enemies and he will have them exiled, described as the “curses” in Deut 28:15-64. Having been a people who boasted so much of Yahweh’s salvation in the form of him having saved them from slavery to Egypt to give them their own inheritance of the land of Canaan, obviously the worst punishment that Yahweh would give them was they losing that land and going back into slavery – which is exactly what is contained in the “curses part. Sadly in my previous life, I used to read these blessings and curses in the usual way that many Christians are taught to read the bible – individualistically looking for portions I could “claim” for myself. Whether I as an individual could experience exile as described here is another question, but I digress. So when exile did eventually come and worst of all the temple – where Yahweh himself was taught to dwell – was destroyed, it was a day of great disaster, anguish and reflection. The only conclusion that they could come to was that 1) Israel had disobeyed Torah – the law, 2) as a result Yahweh had used first Assyria and then Babylon to punish them. Note that previous attempts had been made to conquer them before this, but by virtue of having leaders and kings like Gideon (Judges 7) and Hezekiah (2 Ki 18) who lead the nation in faithfulness to Yahweh, he protected them from these enemies. But there was hope – Yahweh had already stated that when they disobey him and exile comes upon them, and yet they do return to seek him faithfully he will come back to them (Deut 30). The prophets picked up on this hope, and explained further ways in which Yahweh was going to act differently now when he returns, some of which were also mentioned in Deut 30. Deut 30:1-8 When all these blessings and curses I have set before you come on you …, and when you and your children return to the Lord your God and obey him with all your heart and with all your soul according to everything I command you today, then the Lord your God will restore your fortunes … The Lord your God will circumcise your hearts and the hearts of your descendants so that you may love him with all your heart and with all your soul, and live. You will again obey the Lord and follow all his commands I am giving you today. Jeremiah then is picking up the theme of God’s return to Israel in Deut 30, and showing that it will indeed be a new covenant in which God will himself enable the people to obey his laws – something which they failed to do which lead to “the curse” aka exile. Aside God restoring their fortunes, giving them a new heart, circumcising it and putting the law in their heart, he has introduced something new in the equation via the prophets, especially Ezekiel above – he will put his own Spirit in them so they will live. There are a few things we need to note from the above then. The exile was caused by sin – Israel’s failure to keep to their side of the covenant. Therefore if Yahweh will return to them, he will obviously have to forgive their unfaithfulness (i.e. their “sins”). He will then have to either renew the old covenant he had with them, or vary the terms of the covenant or introduce a totally new one. He himself desires that they be faithful to this new covenant he will give, so he himself will do a work that enables them to be faithful via introducing a new variable in the equation – his own Spirit. The primary purpose of the Spirit is to make sure that Israel will be obedient to Yahweh’s new covenant he will launch. Enter Jesus, and he goes about launching “the kingdom of God”. When asked what the most important command is, he says there are 2 – “Love the Lord your God with all your heart and all your soul and all your mind”, and “love your neighbour as yourself” (Mt 22:37-39), which NT scholar Scott McKnight calls “The Jesus Creed”. He even gives his disciples a new command – to “love one another as I’ve loved you” (Jn 13:34). And to be even more specific, Jesus himself says self-sacrifice for the other is the real gold standard of love (Jn 15:13).To crown it all when he’s leaving, he informs his disciples that the Spirit will come and be with them and give them power to be his witnesses – witnesses to the way of life he has shown them and the commands he has given them. He refers to Deut 30 when he says the Spirit circumcises our hearts – so we can be a people who live in obedience to Jesus (Romans 2:28). In the book of Romans he always compares slavery to sin or to the flesh with freedom in the Spirit – because sin is disobedience. Let’s not forget in Ro 1:5 he says his God given mission is to call men to obedience that comes from faith. He is frustrated with the Corinthian church because instead of the presence of the Spirit leading them to be a people of love just as Jesus commanded, it has made them a people who use their gifts to abuse one another and destroy the unity of and love within the body of Christ. I’m saddened that in modern times, 1 Cor 13 has been reduced of all its power to a passage about love in marriage because it is constantly read during wedding ceremonies. In context it rather speaks of love that must exist in the body of Christ, and its constant association with weddings is blinding us to who the message is really for and what its about – the church. He speaks of the fruit of the spirit as demonstrations of whether the Galatian church are a people who are actually being lead by the God’s own spirit or not (Gal 5:22-23). All of this then makes me see why Peter associates the forgiveness of sins with the gift of the Spirit. Because the expected new covenant had been launched in the life, death and resurrection of Jesus, the primary means by which we can be faithfully obedient to that new covenant is by God himself giving us his Spirit – as he himself spoke of it in the OT. It also leads me to ask questions of the churches and church traditions that make the most noise about the Holy Spirit. How has the abundance of “Holy Spiritism” lead to better obedience of Jesus? How has it lead to love for God and love for neighbour? Do you care if those watching from the outside hardly see your obedience, your love for one another, and the increasing absence of any of the fruits of the spirit? Has it occurred to you that you might be behaving like the Corinthian church, who loved signs and wonders, but lacked love and obedience? How much of your “prophetic meetings” is leading people towards forgiveness of one another, self-sacrifice and dyeing for your enemies, all these being Jesus’s own commands? Has it occurred to you that the reward for unfaithfulness to God’s commands is exile, and the God who punished Israel with exile is the same God we worship today? Are you sure you are not missing the point about why the Holy Spirit is given in the first place? I’ll end with a quote from a friend.